Epochate is a look at the eternal struggle generated by thought and power. Epochate is the journey of mankind across philosophies, ideals and creed. A report of the attempts, defeats and victories of the human race through an age of wars, violence and arrogance. As the world fades into oblivion, unable to endure the weight of its arrogant sovereigns, all we can do is wait for the inevitable to come and the balance to be restored at the end of this dying era. Epochate is not a new beginning. 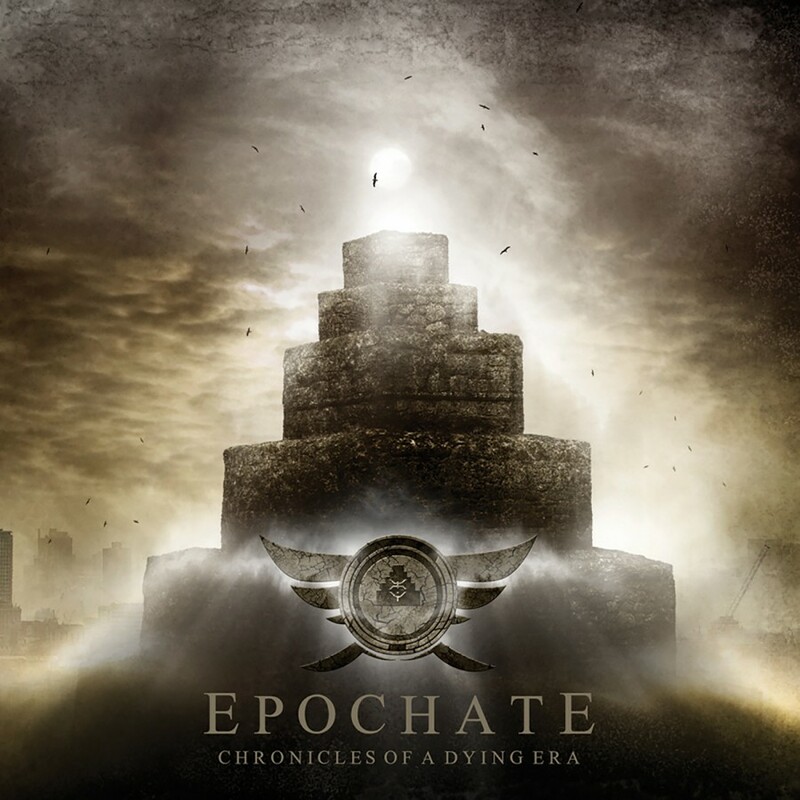 Formed in 2008 by Victor Love (Dope Stars Inc.) and Noras Blake (Spineflesh/Edenyzed), Epochate is a mix of industrial rock with heavy and concrete orchestrations, apocalyptic drumming, raging percussions, cutting edge guitars and killer vocals. Delivering a sound that has yet to be explored, and a style that brings about an entirely new dimension of musical experience. It all began when Noras Blake submitted an instrumental promo of industrial orchestral songs to Subsound Records and the label manager, Davide Cantone, contacted Victor Love in order to take care of the album production. After listening to the demo versions Victor recognized the potential to make the project evolve into a more complete band so they joined forces giving life to Epochate. Immediately they started working together day and night in the Subsound studio, composing a great quantity of material from which they selected 9 songs that appears on the upcoming album Chronicles of a Dying Era. The collision between the industrial rock and electronic influences of Victor Love and the industrial symphonic influences of Noras Blake created a completely new modern sound that is difficult to classify. Son of the contemporary rock and electronica and heritor of the classical european music, Chronicles of a Dying Era was strongly influenced by contemporary soundtracks while keeping an immediate and heavy sound thanks to powerful beats, complex arrangements and an avant-garde attitude. Centering on the decline of mankind and apocalyptic visions Epochate's concept album will introduce you to the chronicles of our dying era.